Neurosis: ​NEUROSIS and CORRECTIONS HOUSE ​to Perform at Housecore Horror Fest this Weekend! 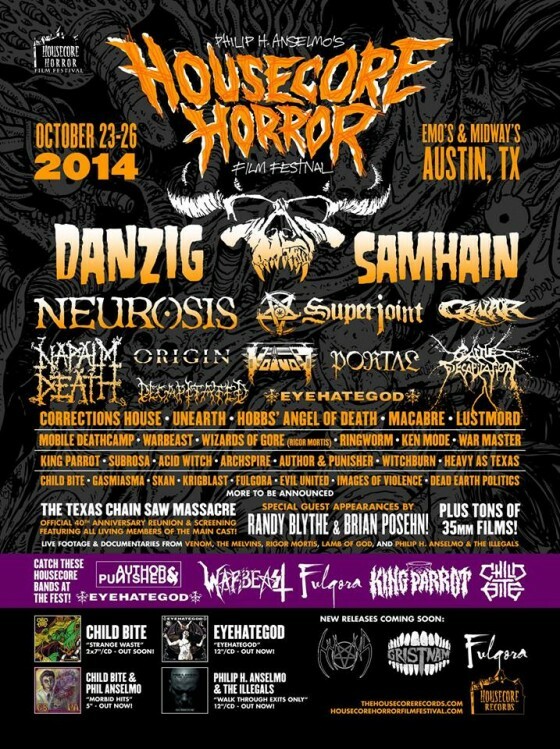 ​NEUROSIS and CORRECTIONS HOUSE ​to Perform at Housecore Horror Fest this Weekend! NEUROSIS continues a string of North American tour and festival dates this weekend in Austin, Texas. NEUROSIS will perform at the second Housecore Horror Film Fest on Satruday, October 25th alongside Neurot kin, Corrections House, with Voivod, Samhain, Eyehategod, Napalm Death, Cattle Decapitation, Author & Punisher and more also set to play at the gathering.